Ravigoter : Redonner force, vigueur à une personne ou à un animal qui semblait faible. 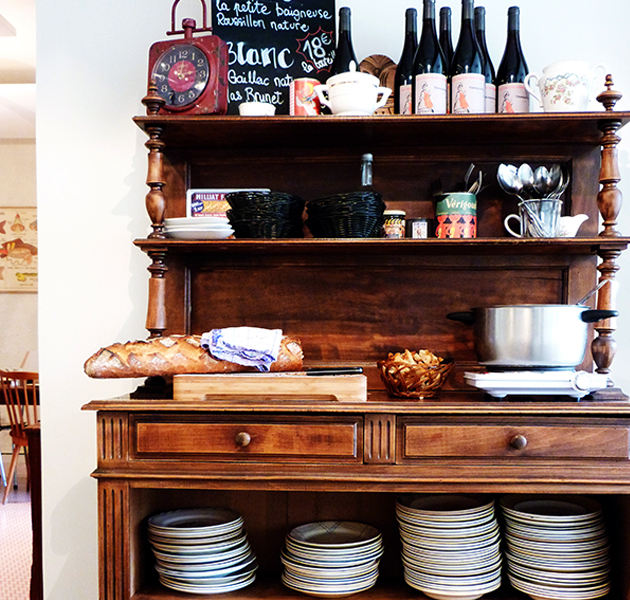 « If you're visiting Toulouse and want some home cooking this is the place for you. Meals are served family style and you will get more than your fill. The entrées were already on the table when we arrived. The plat and dessert were served buffet style. The menu is set so you don't have to do anything but enjoy. The entrées included a shredded carrot salad that I thought could use more vinegar but my dining partners assured me I was wrong. Also on the table were a cold lentil salad, smoked fish, and mushrooms all of which received unanimous thumbs up. There was also a bread station where you can cut off as many delicious slices as you want. The plat included veal and carrots in a yummy broth and pureed polenta. Both were as good as a hug from your grandmother. There were a variety of deserts and I heard no complaints from anyone. I opined that the chocolate cake was too rich and the women at the table looked at me like I had proclaimed my hatred for puppies and sunshine. 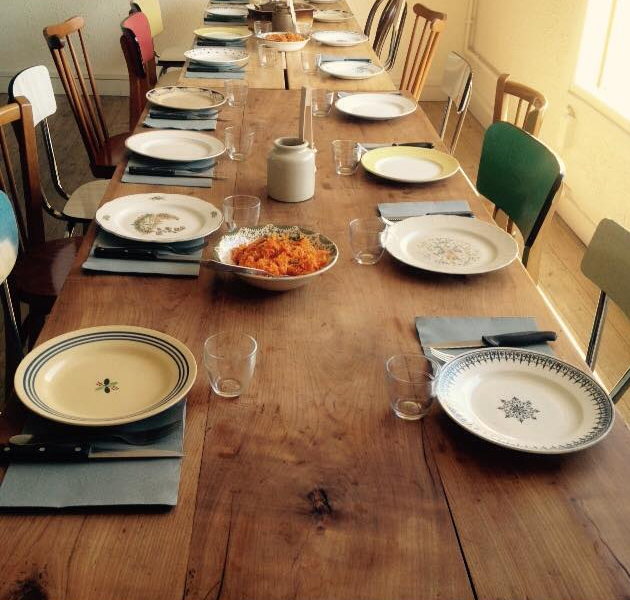 Don't be afraid if you are seated at a large table. Practice your French and maybe you'll make a new friend. Four of us had lunch with a bottle of wine and the bill came to just under 20 euros each. They are open for lunch Monday thru Friday and dinner on reservation for group only. « Cet établissement est à recommander sans l'ombre d'un doute. L'établissement en lui-même est original, avec de la décoration vintage. Côté cuisine, les entrées, plats et desserts proposés sont tous faits maisons et délicieux. Personnellement, j'ai un petit penchant pour le hachis parmentier de haddock. 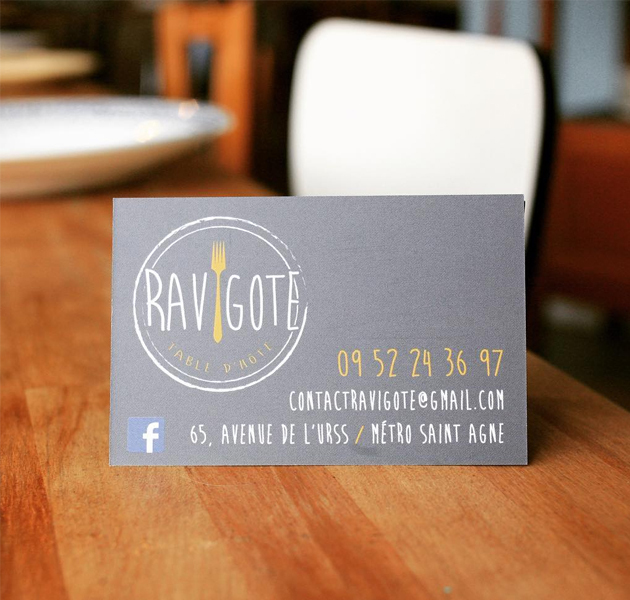 Ravigoter : Verbe transitif, 1er groupe. Redonner force, vigueur à une personne ou à un animal qui semblait faible. 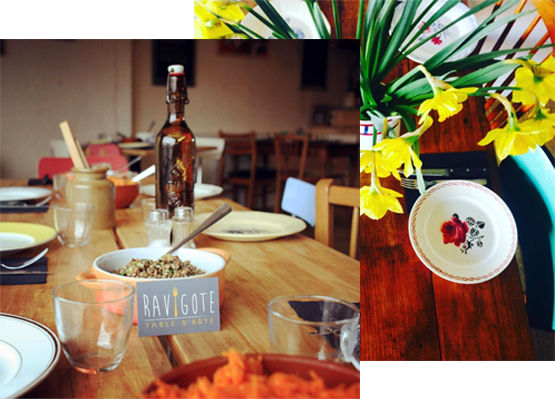 L’intégralité du site www.ravigote.fr et l’ensemble de ses sous-domaines est la propriété exclusive de Ravigote (textes, photos, visites virtuelles, images et tout autre élément). Toute représentation ou altération, partielle ou totale, du site est formellement interdite.